I'm kind of weird (not that that revelation is new or anything... ha!). I am not a fan of formal dining rooms. I'm just not a formal person and kind of think they are wasted space in houses. Unfortunately down in the south, it seems like any home over 1500 sq feet has a formal dining room, so I knew that we'd have to work around it. 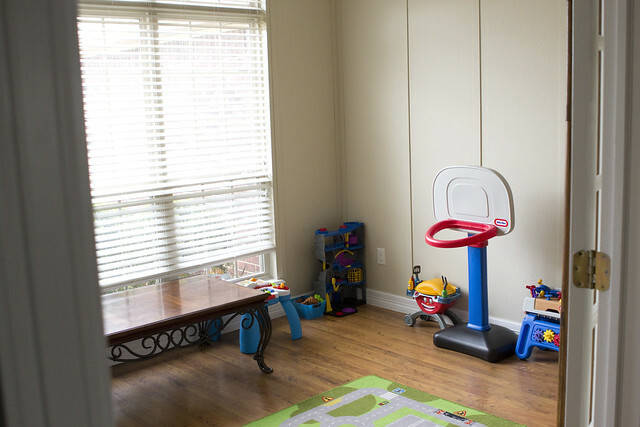 When we started looking at houses I had always said that I would just convert the formal dining room to a playroom/office. 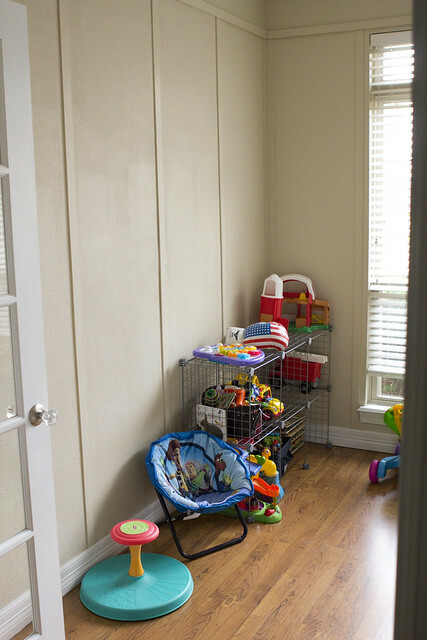 Converting a room that is open to the entire house is less than ideal, because the toys would all still be out in the open, but it was the best idea I could come up with without having an empty room. So imagine my glee when we realized that the house we fell in love with (which is now our home) didn't have a formal dining room, but rather a front room with french doors that could be used as an office, library or playroom! Eventually the room will be a library/office space for Drew, something that he's always wanted in a home. But, right now we use it as a playroom. 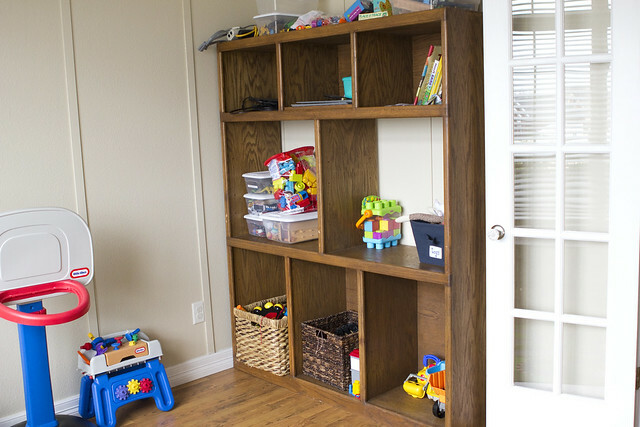 I just like the idea of having ALL of the kids toys in one spot so that their rooms are strictly for quiet things like sleeping or reading. And since we're in the phase of having tons of little toys (hotwheels, construction toys and legos to name a few), I'm ever grateful for a room that I can organize and put away and not have underfoot 10 million times a day. I doubt I'll do anything too drastic when it comes to decorating since I think in a few years this will be an office. I probably will put some stuff up on the walls, and possibly make a cornice board or drapes for the room, just to complete it. Our Crazy, Busy, Fun Week. Weekend in Review (picture OVERLOAD). Weekend in Review: Spring has Sprung. Tractor rides with Aunt Laura. I Told Him to Say Cheese. An Update on Life and Rhea Lana's Spring 2012.